Researchers have found that the last time the thermosphere was rated ‘hot’ was around 2003 (see chart below). Now with a deep solar minimum upon us, the obvious question is: what effect might this have on our planet as a whole? Sept. 27, 2018: The sun is entering one of the deepest Solar Minima of the Space Age, says Dr. Tony Phillips at Space Weather. Sunspots have been absent for most of 2018, and the sun’s ultraviolet output has sharply dropped. New research shows that Earth’s upper atmosphere is responding. These results come from the SABER instrument onboard NASA’s TIMED satellite. 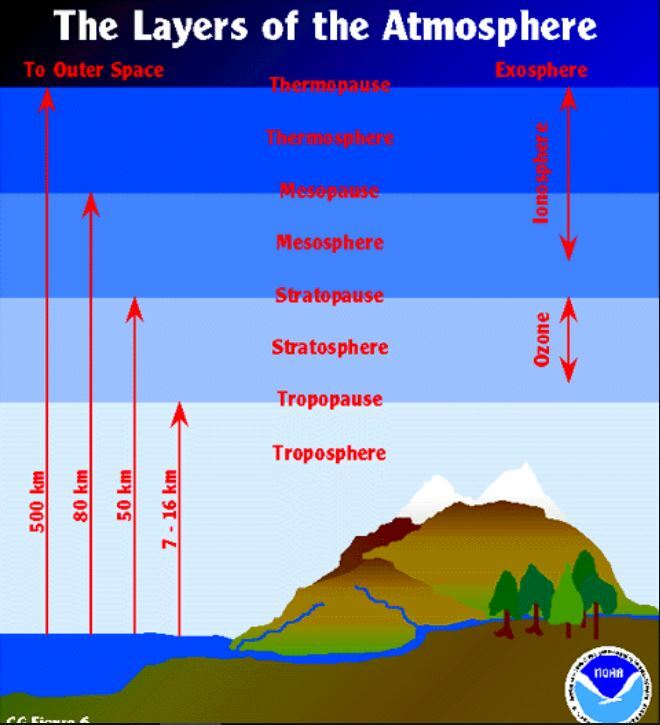 When the thermosphere cools, it shrinks, literally decreasing the radius of Earth’s atmosphere. Could this be used to validate Nikolov & Zeller ? Yep. And it’s the UV that warms the sea down to nearly 100 meters. Might be one for them to consider, if they haven’t already. NASA says, as we enter the solar minimum, our wispy atmosphere shrinks. When the atmosphere contracts, the jets start to meander. The meandering happens because there is a space problem; the same jet stream is jammed into less volume within a shrunken atmosphere; hence the jet streams kink. The cloud levels are slightly but measurably lower as well. Earth’s thermosphere went through its biggest contraction in 43 years. Researchers expected to see a contraction due to a solar minimum, but not this significant. But the researchers found low levels of EUV radiation only account for about 30 percent of the collapse, while the increase in CO2 levels account for another 10 percent at most. That still leaves some 60 percent, which can’t be explained by current modelling. they cannot explain why … did they just answer their own question? Don’t tell Willis. The sun can’t have any effect because blah blah blah. Among the seasons with good data coverage, the maximal occurrence rates for the post-sunset equatorial irregularities reached 35–50 % for the September 2014 and March 2015 equinoxes and only 10–15 % for the June 2015 solstice. Auroras also reach max at/near the equinoxes. This paper investigates the causes of the sudden descent (midnight collapse) of the ionosphere at Townsville, Australia, during the equinox periods of years between 1970 and 1980. The collapse of hmF2 at midnight is found to occur on 89% of the 330 equinox nights that are investigated, and the mean magnitude of the midnight collapse is 84 km in the March equinox periods and 99 km in the September equinox periods.